Three albums in and already Wild Beasts have shown how a group can develop seemingly effortlessly from record to record. Their 2008 debut ‘Limbo Panto’ banked a lot on the vocal acrobatics of frontman Hayden Thorpe but it was a record which sought to surprise and shock rather than soothe. The following year’s ‘Two Dancers’ underplayed the melodrama but achieved more depth. ‘Smother’ is not a dynamic step forward from its predecessor but – to quote one of their new songs – it certainly does “reach a bit further”. ‘Lion’s Share’ toys with sexual imagery (a continual theme) whilst Thorpe’s intimate vocals and the subtle arrangements evoke a male version of Kate Bush. The melodies to ‘Bed Of Nails’ and ‘Plaything’ are original and beguiling. This is a group that doesn’t need to hammer home their talents; instead they unfurl themselves slowly. 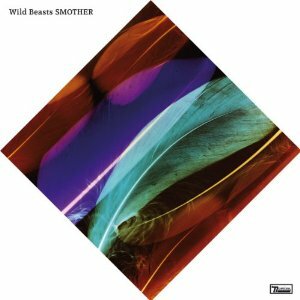 ‘Smother’ further emphasises the idea that Wild Beasts are an albums’ act; apparently rejecting the notion of delivering obvious singles. On the first listen, it seems as if the record is almost too understated for its own good but it gradually reveals and rewards for each subsequent play. Better still, no one is making records that sound anything like this right now. Vliot is a musical outlet for Puerto Rican Fabian Wilkins and an assortment of local talent. To expect his new record to be entirely representative of his country would be a big mistake though. By the standards of ‘Invisble Cities’, Wilkins has reached much further for inspiration. Wilkins’ Peter Gabriel-like tones on ‘En Lo Que Sea’ set the album off to a smooth, jazzy start. 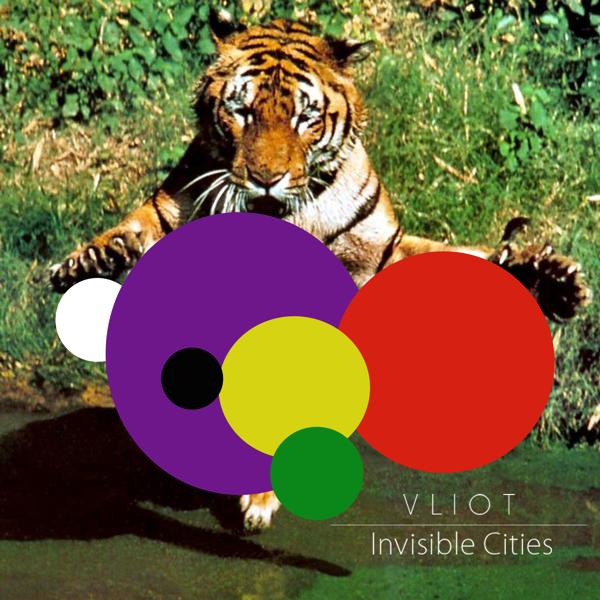 There is a distinct air of summer on these languid songs and instrumentals. The sweet melodies of ‘Amanecer’, for example, seem perfect accompaniment to a lazy day at the beach. Wilkins sretches himself on several occasions. If ‘En Os Aires’ is intended as a homage to Tortoise, Wilkins certainly achieves his aim, whilst on the final instrumental – the warm, throbbing keyboards of ‘Beautiful Machine’ – he arguably reaches his peak. Tellingly, even if ‘Falling Ice’ and ‘High Hopes’ may sound like (admittedly classy) incidental music, the sunny charm remains constant. Wilkins cleverly stays true to his Puerto Rican roots but clearly his influences have been just as informed by Western culture. If there is one recommendation, though, it is that he should utilise his voice more since this instrument lifts the occasionally soporific moments on the record. Although based in Manchester, Pierre Hall’s Trinidadian and Mauritian heritage means his music is likely to sound less localised than most acts from the area. Furthermore, in a sure statement of “keeping it real”, the new album from Golden Glow is a four-track recording but one which sounds rich with promise. Thick, heavily echoed beats and staccatto vocals usher in ‘Adore Me’ and Hall sticks to these base elements throughout the album. Yet don’t be fooled into thinking there is a lack of invention here. ‘Locked Inside’ features summery guitar and possesses a wistfulness which makes the association with The Drums so easy to understand, then extending the link still further is the “Orange Juice on a budget” nugget ‘All Time’. Only ‘The Blizzard’, with its drone-heavy backing, could be called an experiment but it’s not one of the songs which listeners are likely to return to very often. Yet when he can put out off-kilter indie-pop gems such as ‘On My Own’ or ‘Retreat’, it’s easy to forgive any misguided attempts at adventure and admire his insouciant charms instead. There’s a consistency to ‘Tender Is The Night’ which could be considered as a lack of variety but each song has something different to offer within the boundaries of indie/alternative rock. One would imagine that the next album will have a bigger budget thrown at it but this must not drown out the talent which Hall clearly has. Although it should be taken as a huge compliment, it is almost impossible to disassociate Kansas City’s Parts Of Speech from Junior Boys. Because, just like the Canadian synth-soul experts, Brandon Knocke and Alexander Thomas take on 1980’s electronica and inject it with a dose of vulnerability. For ‘Canopy’, Knocke’s breezy vocals float upon an ambient wash of keyboards. As the album develops, the origins of synth pop are even more pronounced. The primitive melodies for ‘ABC Islands’ and ‘Tasted Comfort’ could have come from OMD or Depeche Mode’s initial recordings with only the insouciant but perfectly pitched tones of Knocke bringing the songs in to the 21st Century; the latter is a brilliant example of their lovelorn yet eerie approach. ‘Electric Lime Timeless’ goes one step further by incorporating a sax solo whilst the blissful grace of ‘Hidden Pigeon’ is kept grounded by Thomas’ precise drumming. 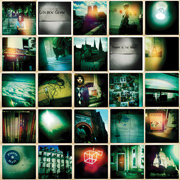 The album does noticeably drift towards the end but the air of studied cool is ever present. Because of the obvious comparison mentioned earlier, Parts Of Speech could be in danger of becoming a pastiche act. They get away with it though because their songs are fully formed in their own right and blessed with irresistibly romantic, nocturnal atmospheres. As readers of this site will be aware, video features are quite rare occurences. Rarer still are artists who make more than one appearance but Lidwine is a rare and special talent. This is an acoustic version of ‘In The Half-Light’ from Lidwine’s ‘LW’ EP ((see the review here and the original video here)). 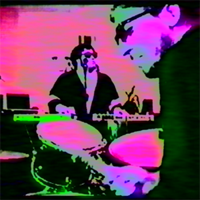 The video was made in Saint Jean Bosco church and featured recently in French webzine Le Cargo. What a lovely sound the harmonium and the human voice can make! Mob Fandango are a new Dublin act, made up of ten performers. Although basically a funk/soul outfit they probably need so many members given that they cover such a range of musical styles. Quite an achievement for this highly polished fifteen-minute EP. The opening ‘Funk Epidemic’ contains everything you’d need for a lively funk act. It’s surely designed to fulfil the band’s manifesto to “get you on the floor and help you remember how to feel good”. Instrumentally, it’s a 1970’s Cop theme even down to the wah-wah guitars. ‘Dancefloor’ is more soulful and fun and emphasises their tight musicianship. Yet it’s track three which demonstates their classy songwriting prowess best as the killer Steely Dan-style chorus smoothly attests. It’s left to ‘Dig’ to end the EP with a comfortably warm reggae sound and a happy glow. Like their fellow Irish band The Burning Effigies, Mob Fandango take on black American influences and prove that they can groove and swing with the best of them. The mood is generally fun and it’s easy to understand why they’re a live draw but one senses there’s a greater depth here which needs to be explored further if they have ambition to be a successful albums act. 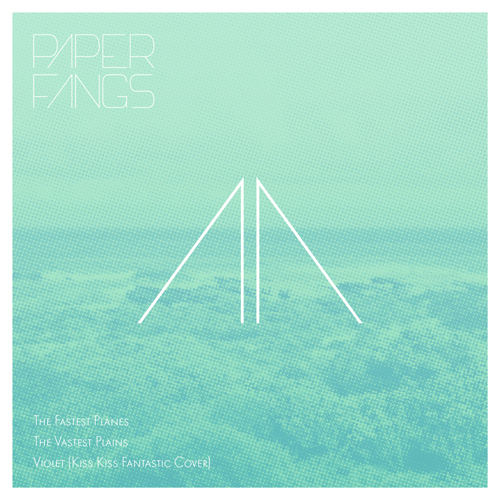 Paperfangs are a trio from Finland and present their wares as a downloadable three-track EP. It can be hard to convey much depth over the course of ten minutes but the group have created three enjoyable synth pop songs nevertheless. Paperfangs have demonstrated their influences with a version of a Pet Shop Boys’ track but the first song on this EP harks back to a more obscure part of history.’The Fastest Planes’ is reminiscent of The Wake, thanks to Juri’s airy vocal and the light, melancholic synth melody. Rather bizarrely, ‘The Vastest Plains’ seems to open with the sound of vacuum cleaning but then a sugary tune in the mould of The Lightning Seeds takes hold. The EP ends with a cover; a fluffy version of ‘Violet’ by Kiss Kiss Fantastic. One could argue that Paperfangs fulfil their chosen name with music which lacks real bite but there’s an endearing charm present which harks back to the innocent days of the 1980’s. A full album, though, wlll surely be the true benchmark of their talents.